Home > Wolfgang Product Line > Wolfgang Total Engine Cleaner 128 oz. No solvents, no phosphates, just quality German chemistry! Breakthroughs in modern chemistry have allowed my team to develop a potent engine cleaner that does not utilize potent ingredients. Wolfgang Total Engine Cleaner is 100% phosphate and solvent free, so you can use it with confidence. 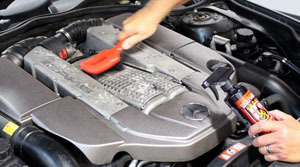 Plastic shrouding, rubber hoses, cast aluminum components, air conditioning lines and every other surface found in your engine bay will absolutely, positively not be harmed, stained, or spotted by Wolfgang Total Engine Cleaner. They will, however, be cleaner than they ever have been. If you’re anything like me, the engine bay is the last part of your vehicle that is detailed. My goal is to change that with Wolfgang Total Engine Cleaner, because like you it keeps me awake at night knowing that one part of my otherwise pristine automobile is filthy. 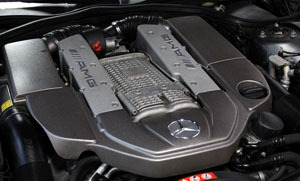 Detailing your engine bay is one of the most rewarding aspects of detailing. Don’t be afraid, just do it! Spray and wipe. That’s right – Wolfgang’s formula is so gentle that it doesn’t need to be rinsed off. That’s a testament to the quality of the ingredients found in this German formula. 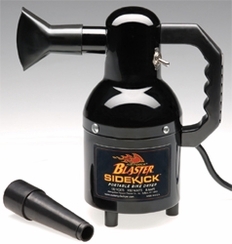 If hosing down your engine bay causes goose bumps, you’re not alone but you are in luck. 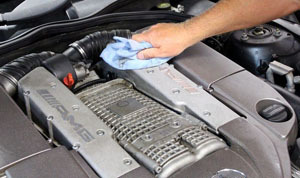 Simply spray Wolfgang Total Engine Cleaner directly into the engine bay and wipe clean using a microfiber towel. Spray on, agitate, rinse off. 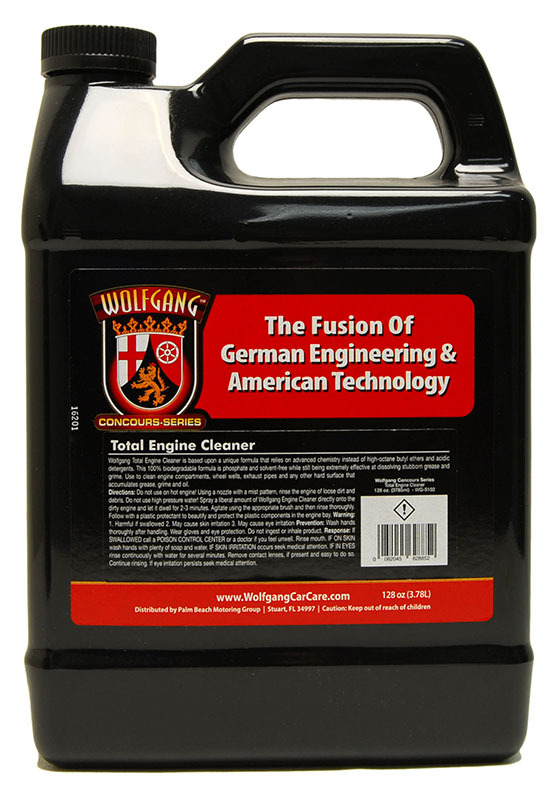 That’s the second, and arguably the most popular way, to use Wolfgang Total Engine Cleaner. 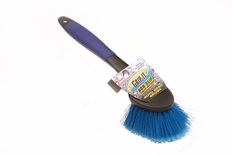 This is the traditional method, and it works best for dirty engine bays. Use common sense with this technique and you don’t have to worry about causing damage. 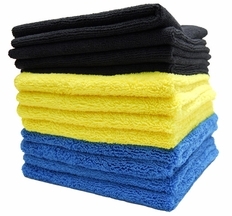 Cover up delicate electrical components, and do not use a strong jet of water, but rather a shower of water. 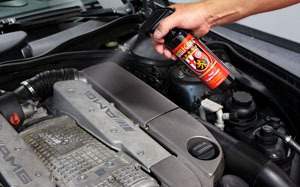 If you really want to make the plastic and rubber components in your engine bay stand out, treat them with Wolfgang Exterior Trim Sealant after the engine bay is squeaky clean and dried completely.